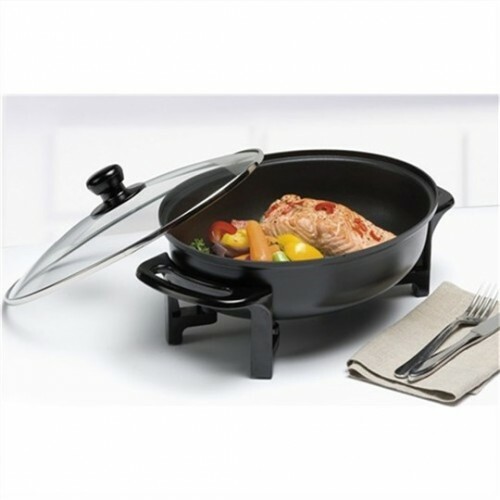 The Maxim Compact Electric Oval Frypan is perfect for students, singles or couples. This is a compact yet versatile non stick frypan that makes cooking a breeze. Cool touch handles, so you wont burn your fingers. Convenient thermostat control to choose your precise cooking temperature. Compact footprint that wont take up much bench or storage space.